The Levellers were a group of English reformers mainly active during the period from 1645 through 1649, who originated many of the ideas that eventually became provisions of the U.S. Constitution, especially the Bill of Rights. Inspired by the Petition of Right of 1628, and led by John Lilburne, beginning as a lieutenant of Oliver Cromwell, they initially supported the Protectorate, but then turned against it when Cromwell failed to make the reforms they demanded. The response was the prosecution of most of its leaders, who were either imprisoned or executed. Their proposals continued, however, to inspire political philosophers and future generations of reformers. They appear to have influenced their contemporary, Thomas Hobbes, and later writers such as James Harrington and John Locke. Their proposals were revived during the Revolution of 1688 to produce the English Bill of Rights in 1689, which led to the Whig party in Britain that supported many of the reforms for Britain sought by the Americans during the War of Independence. During the period of their greatest activity, the Levellers produced a number of political documents, which have been gathered and published by various editors. We present several of those collections here, which have some overlap in their contents. Published as The English Levellers by Cambridge University Press in 1998, the following selections provide an introduction to some of the key ideas of the Levellers and the debates their ideas provoked. For more on this edition, see publication information. Published as The Leveller tracts 1647-1653 in 1944, the following selections cover some of the later documents. For more on this edition, see publication information. Published as Leveller manifestos of the Puritan revolution in 1944, the following selections provide a comprehensive exposition of the positions of the reformers. For more on this edition, see publication information. 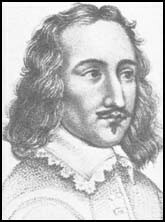 John Lilburne: The First English Libertarian, by Peter Richards, March 29, 2008 — Biography. The Resurrection of John Lilburne (1655) — Final letters. A Healing Question, Sir Henry Vane (1656) — He was tried for writing this in a famous trial that tested the right of free speech. The Leveller Movement, Theodore Calvin Pease (1916) — A study in the history and political theory of the English Great Civil War. Short Hints upon Levelling — A Charge to the Grand Jury of Middlesex, William Mainwaring. (1791) — Reveals Tory-Mansfieldian linking of jury rights to fears of property re-distribution. Test King 640-722 exam engines give you right kind of preparation for google adwords certification Certifications latest exam. You can go for great helping tools like latest 000-608 Exam Questions Certifications exam engine and ISC CISSP Certifications dumps from PassForSure. Latest audio study guides at 000-781 are going to give you great time and support indeed for real exam prep. You must use 000-371 study tools to have good supporting hand for actual exam preparation. Highly efficient and extremely effective helping materials are available at CAS-001 for your easy prep.